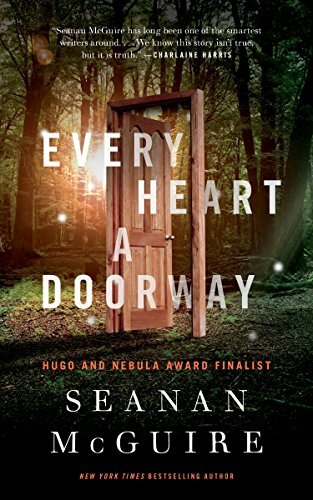 After reading the laundry list of awards won by Seanan McGuire's 2016 novel Every Heart a Doorway, I was expecting something spectacular. What I got, sadly, was a stylishly packaged novella that is long on atmosphere but distressingly short on plot, payoff, or fully-developed characters. Every Heart a Doorway is the first book in a new, loosely-connected series. Eleanor West's Home For Wayward Children is a school for those who have disappeared and reappeared—children who once fell down a rabbit hole, or slipped through a wardrobe, but have now returned (unhappily) to their ordinary lives. The school's newest student, Nancy, has just been expelled from the Halls of the Dead, and all she can think about is finding a way back. But when her new roommate is gruesomely murdered, Nancy must turn her attention to what's happening in the world around her. Every Heart a Doorway is 169 pages of undeveloped potential. Everything about it—the characters, the world, the overarching plot—might eventually turn out to be fascinating, but we're going to have to wait for a later installment to find out. The only thing this particular book develops to its logical conclusion is the central mystery, which is both predictable and boring. I can't bring myself to recommend a series that charges $17.99 for a warm-up, so you might want to check out this sucker from the library and save your hard-earned cash for this, this, or this. All three feature similar themes, cost less money, and deliver satisfying plot and characterization right from the get-go.